Josh Hodgson will co-captain the Raiders in 2019, alongside Jarrod Croker. Photo: Raiders’ website. It’s fair to say the Raiders have been under-achievers in the past two seasons. Even the club admits they didn’t capitalise on the success of the 2016 season when they made the preliminary final, only to be beaten in controversial circumstances by the Melbourne Storm. Finishing tenth the following two seasons and missing the finals is unacceptable. They missed out on the top eight by ten points but only two points separated the top-side, the Roosters, and the eighth-placed Warriors. Here are my five reasons why I believe the Raiders will perform better in 2019 and make the finals for the first time in three seasons. Number one: Josh Hodgson missed the first 14 games in 2018 after suffering a knee injury while playing for England. His absence impacted greatly on the Raiders; they lost five games by two points or less in the first 14 rounds. I would argue if he was on the field in those games, the Raiders would have won. His impact was immediate in round 15 in his comeback game. The Raiders won 48-12 over the Wests Tigers when he returned. 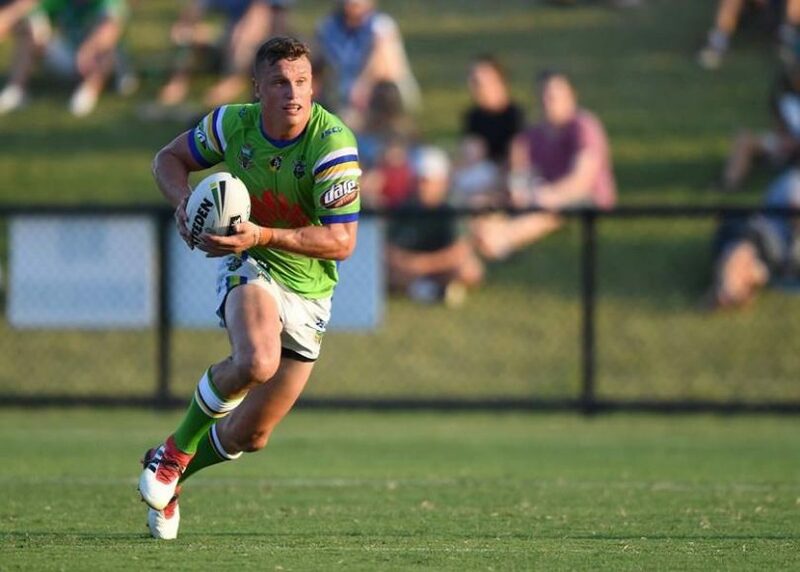 A big year is expected of Jack Wighton in 2019. Photo: Supplied. Number two: Jack Wighton missed the final ten rounds through suspension. During that time, the Raiders lost six of the last ten games from round 16. Even more telling though was the energy-sapping process of the legal proceedings. This was endured by the club coupled with the Raiders’ dealings with the NRL. It became a distraction. Wighton is on his last chance with the Raiders and hopefully repays the club with the same form he showed prior to his suspension. Number three: John Bateman, according to those who have played alongside him, is the most competitive player they have teamed with. He is exactly the style of player the Raiders need in the middle. The Raiders have lost plenty of size in Junior Paulo and Shannon Boyd, but it can be argued that the game is becoming more the domain of players with mobility. Bateman is tough and versatile and his recruitment, along with Wigan teammate Ryan Sutton, adds a new dimension to the Raiders. 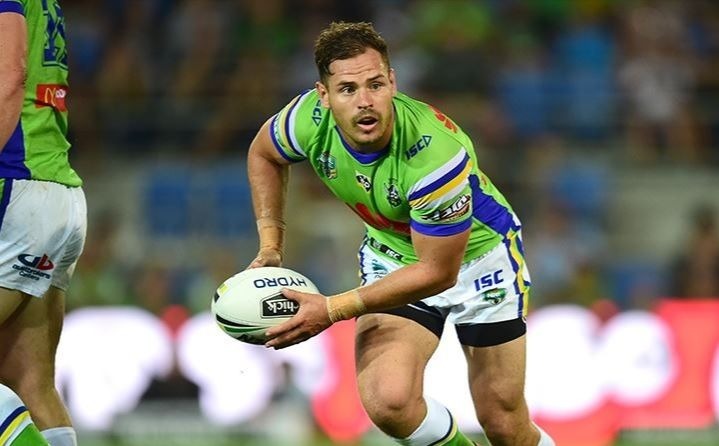 Aidan Sezer’s running game should feature in 2019. Photo: Supplied. Number four: Aidan Sezer in my mind always seemed to play better when Blake Austin wasn’t on the field at the same time. It may be a perception, but Sezer appeared to take more control of games. He showed, during his time at the Titans, that his best attribute was his running game. The departure of Austin may allow Sezer to play his natural game. Number five: The co-captaincy really needed last season when Josh Hodgson was constantly rebuffed when he questioned a refereeing decision. Now with the co-captaincy, he has a legitimate licence along with Jarrod Croker to ask questions of the referee without being told he doesn’t have the right. Personally, I think it’s a masterstroke. Having outlined my five reasons as to why the team will perform better in 2019, there is always an element of luck involved; the injury to Jordan Rapana, being a case in point. But I believe there is reason for optimism. Do you think the Raiders will make the NRL finals this year? I expect they will just make the eight, and maybe get into the second week of the finals. Without that extra special player or two that is where they belong. What we want is positive thinking, not negative. GET BEHIND THE RAIDERS. Show more passion. I think losing Boyd and Paulo is actually a blessing in disguise. Bringing in more mobile forwards like Sutton and Bateman should (hopefully) mean our forwards are less susceptible to being cut open by little men in the final 10 minutes. I think the game is moving away from huge props and it caught the Raiders out in our rotation.If we can improve our defence in the middle and on the fringes by having a more mobile pack, I'm all for it. Losing Rapa isn’t ideal, but I think Oldfield will do a serviceable job until he returns. Having a full off-season for Hodgson, and having him on the field from Round 1, should also help us have a better start to the year and build some confidence. I’m starting the year with optimism. I think a Top 8 birth is achievable, but we’ll have a pretty good idea whether it will happen within the first six weeks. no recognised five eight and rapana gone for the majority of the year and the optimism could be very misplaced. #1-#100 Learn how to defend, especially the backs. Solve this and the Raiders will do very well. They've got two chances of making the finals - Buckley's and none. They don't have a spine. Read that whichever way you like! Ricky was never the man for the job. Agree thank you. How Sezer even gets a mention is a disgrace. Worst half in the comp, most missed tackles in the raiders squad. Fingers crossed Bateman and Sutton come in and gel well with the rest of the side. Making the finals will depend a lot on how well the side can come together and work its strengths. Losing Boyd and Paulo is a good thing. 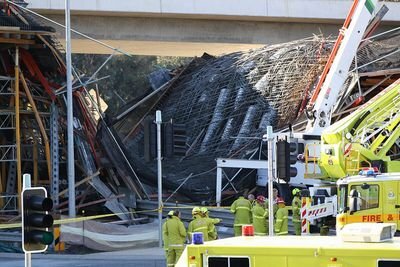 Surely we’ve learned by now that having the biggest Props doesn’t win Premierships! The April Fool’s article went up early! Damn you, work experience kid! Lost a lot of power up front, skill in the halves and will miss Rapana for a big chunk of the year. I think up front we are good and oldfield will more than make up cover for rapana. Unfortunately I think our halves depth is were we are lacking and that will be exposed this season. Oldfield make up for Rapana? Surely you jest? I don't see Ryan Sutton making up for the loss of both Paulo and Boyd. David Todd papalii will move to prop to accommodate Bateman to the back row. Yes boyd and Paulo added punch but were liabilities in defense, especially late in the game. Biggest concern is the halves, going to need Hodgson to take more control of the game.